Notably, the Samsung Galaxy J1 Ace was first reported to be available via physical retail stores earlier this month by an established Mumbai-based retailer. The smartphone supports dual Micro-SIM cards and runs Android 4.4 KitKat with Samsung’s custom UI skinned on top. It features a 4.3-inch Super Amoled display with a screen resolution of 480×800 pixels. It is powered by a 1.3GHz dual-core processor coupled with 512MB of RAM. There is 4GB of inbuilt storage which is further expandable up to 128GB (via microSD card). There is a 5-megapixel rear camera and a 2-megapixel up front. The rear camera comes with an LED flash. 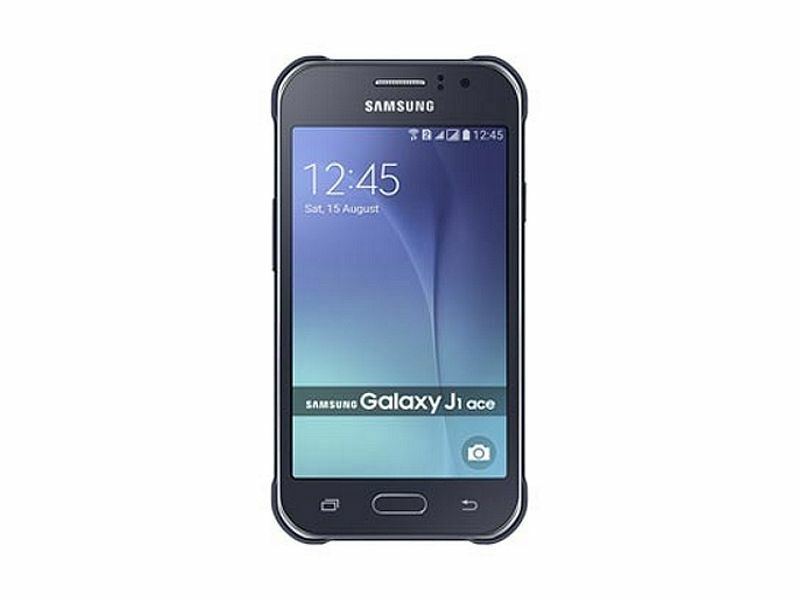 The Samsung Galaxy J1 Ace is backed by an 1800mAh battery and measures 130.1×67.6×9.5mm. Connectivity options include Wi-Fi, Bluetooth, A-GPS, Glonass, GPRS/ EDGE, 3G, and Micro-USB. The Galaxy J1 Ace includes an accelerometer, ambient light sensor, and proximity sensor. The Samsung Galaxy Core Prime VE, launched last week, features dual-SIM support, a 4.5-inch WVGA (480×800 pixels) PLS (plane-to-line switching) TFT display; 1.2GHz quad-core processor; 1GB of RAM; 8GB of inbuilt storage; expandable storage via microSD card (up to 128GB); 5-megapixel autofocus rear camera, and a 2-megapixel front camera. The handset is backed by a 2000mAh battery. Connectivity options on the Galaxy Core Prime VE include Wi-Fi b/g/n, Wi-Fi Direct, Wi-Fi Hotspot, Bluetooth 4.0, GPS, and 3G.